Drama teaches children about perspectives, it shows them how to have empathy, and helps them build the vital skills of confidence, communication, concentration and cooperation. Classes introduce our juniors to the magical world of drama and role-play in a safe and nurturing environment. 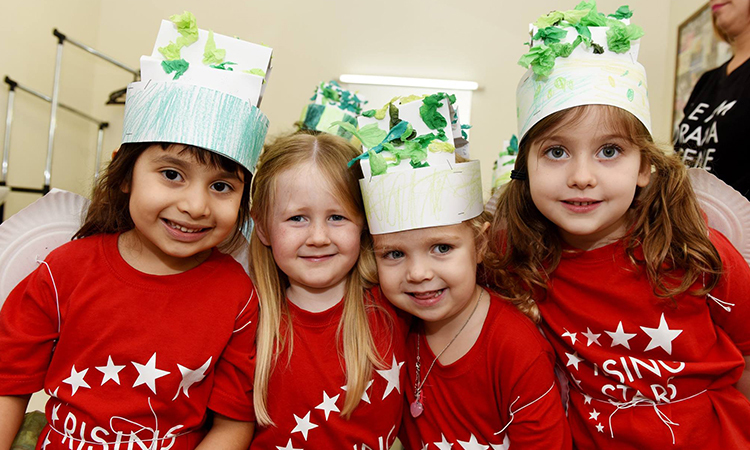 Classes focus on interactive fun activities aimed at developing communication and co-operation skills whilst building confidence and enhancing our youngster's’ imaginations. Activities include: Role Play, Imaginative Journeys, Story Telling, Playing with Props, Creative Movement, Nursery Rhymes etc. 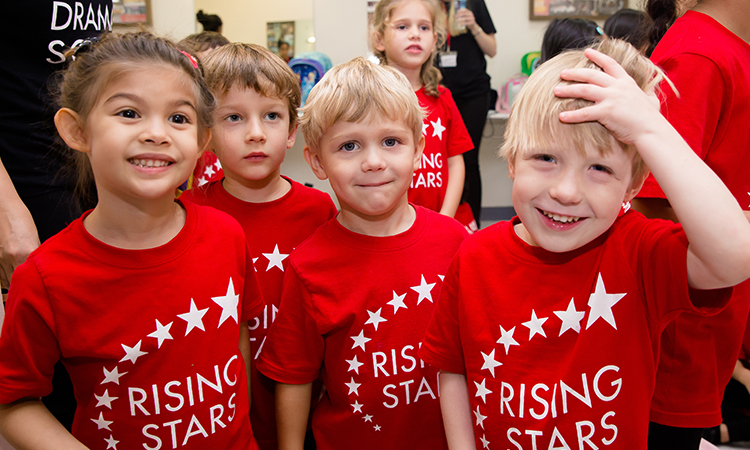 Classes focus on fun interactive activities built around the drama skill set. Activities build children’s confidence, communication, concentration and co-operation skills and encourage them to use their imaginations. Activities include: Role Play, Story Telling, Creating Characters, Imaginative Journeys, Poetry, Exploration through Props, Speech etc. 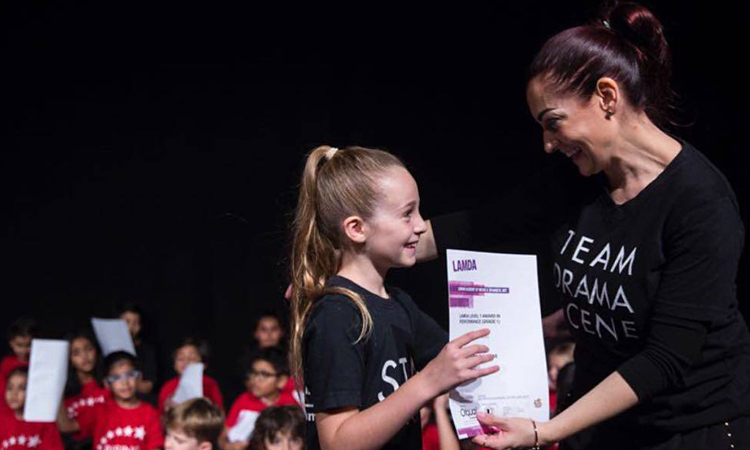 Optional LAMDA Group Introductory examinations with accredited certification are offered to students 5 years plus. 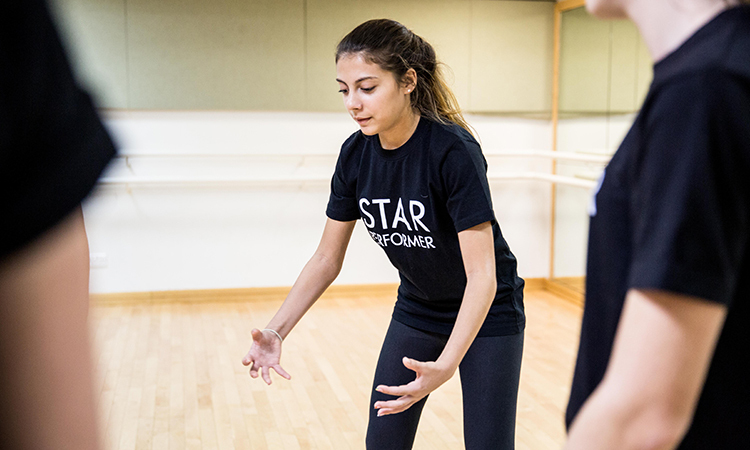 Classes focus on fun interactive activities built around the drama skill set. Activities build children's confidence, communication, concentration and co-operation skills and encourage them to use their imaginations. Activities include: Creating Characters, Imaginative Journeys, Poetry, Exploration through Props, Speech, Stage Directions etc. Optional LAMDA Introductory examinations with accredited certification are offered to students. We provide our students a spotlight where they can shine as they delve further into the drama skill set. We provide them with the necessary techniques to grow as a performer. Skill Set includes: Acting Techniques, Verse & Prose, Staging, Improvisation, Vocal Work, Character Development, Theatre Terminology and Disciplines, Creative Movement etc. Optional LAMDA Acting and Verse & Prose examinations with accredited certification are offered to students. We provide our students a spotlight where they can shine as they delve further into the drama skill set. We provide them with the necessary techniques to grow as a performer. Skill Set includes: Acting Techniques, Verse & Prose, Staging, Improvisation, Vocal Work, Character Development, Theatre Terminology and Disciplines, Creative Movement, Scene Work, Monologues etc. 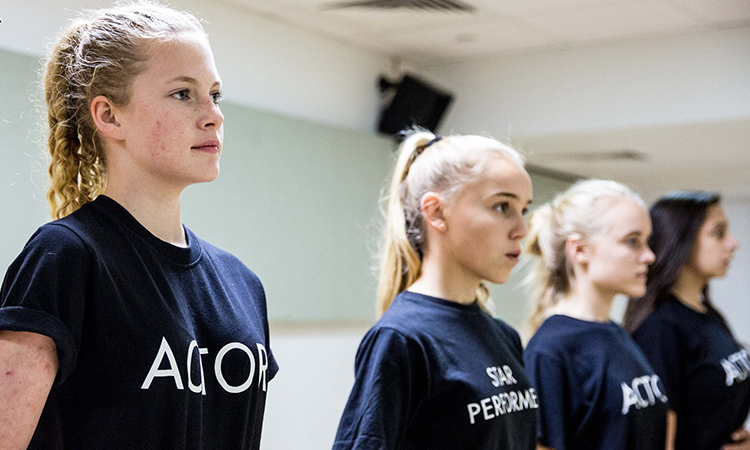 Students are encouraged to work towards optional LAMDA Solo Acting examinations with accredited certification. 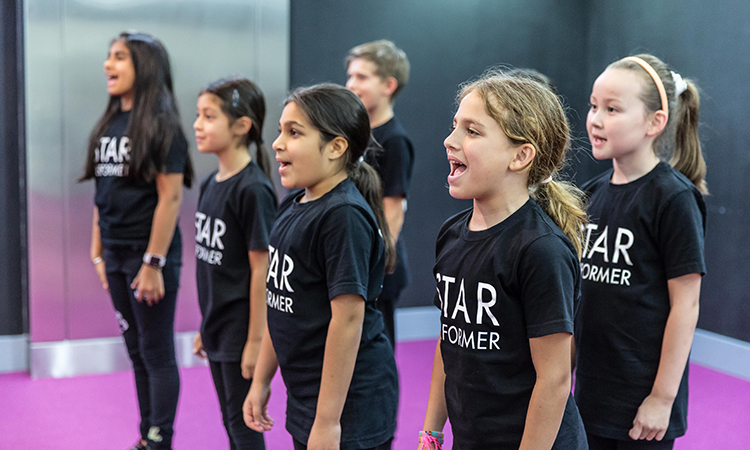 Classes provide our young performers a stage where they can explore and communicate creative ideas, thoughts and feelings in a diversity of dramatic languages. Our young performers are introduced to numerous acting techniques in order to create believable performances. Skill Set includes: Acting Techniques, Verse & Prose, Staging, Improvisation, Vocal Work, Character Development, Theatre Practitioners (Stanislavski, Brecht) Shakespeare, Monologues, Scene Work etc. Students work towards optional LAMDA Solo Acting Grade 4, Grade 5 Grade 6 (Bronze), Grade 7 (Silver) & Grade 8 (Gold) examinations with accredited certification. 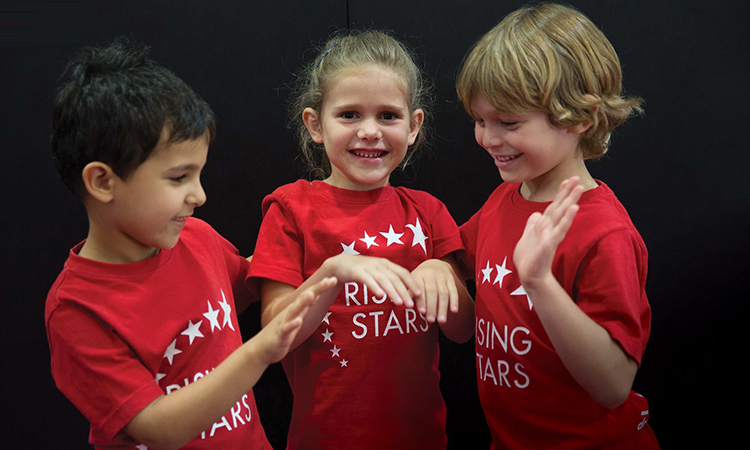 Classes provide our young performers a stage where they can explore and communicate creative ideas, thoughts and feelings in a diversity of dramatic languages. Our young performers are introduced to numerous acting techniques in order to create believable performances. 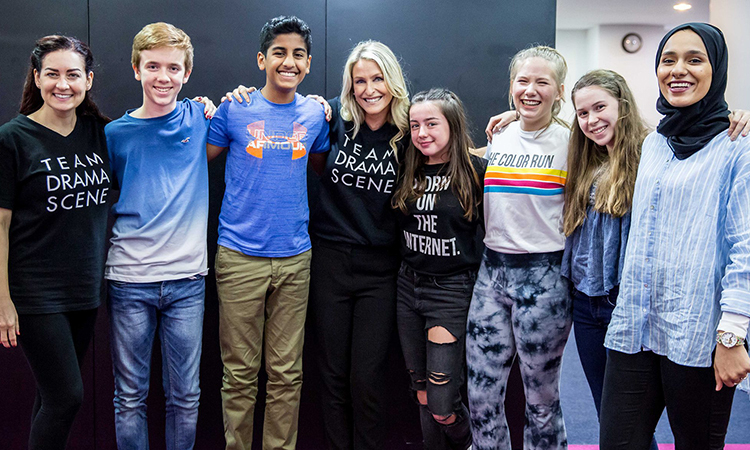 Skill Set includes:Acting Techniques, Verse & Prose, Staging, Improvisation, Vocal Work, Character Development, Theatre Practitioners such as Stanislavski, Brecht, Shakespeare, Monologues, and Scene Work. Students work towards optional LAMDA Solo Acting Grade 4, Grade 5, Grade 6 (Bronze), Grade 7 (Silver) & Grade 8 (Gold) examinations with accredited certification. This course provides our more experienced students a platform to write, devise and workshop dramatic text. Each term ends in a showcase. Outstanding pieces are produced by DRAMA SCENE and put on as ticketed performances. This course may require students to audition for placement. Skill Set includes: Acting Techniques, Devising, and Improvisational Skills, Staging, Stage Management skills, Vocal Work, Character Development and Scene Work. Students work towards optional LAMDA Group Devising Grade 6 (Bronze), Grade 7 (Silver) & Grade 8 (Gold) examinations with accredited certification. Classes provide our Adults a stage where they can learn the performance skill set and immerse themselves in the creative craft. Classes aim to introduce different acting techniques in order to create believable performances. Skill Set includes: Acting Techniques, Staging, Improvisation, Vocal Work, Character Development, Theatre Practitioners (Stanislavski, Brecht, Shakespeare), Monologues, Scene Work. Adults work towards optional LAMDA Solo Acting Grade 4, Grade 5 Grade 6 (Bronze), Grade 7 (Silver) & Grade 8 (Gold) examinations with accredited certification.